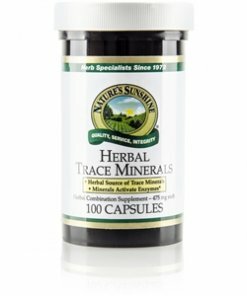 Nature’s Sunshine Herbal Trace Minerals blends herbs that provide essential nutrients for the body’s glands and for the digestive system. Dandelion and alfalfa, both deep-rooted plants that absorb more nutrients than shallow-rooted plants, are a key source of trace minerals and vitamins. 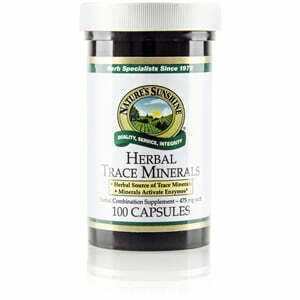 Kelp, another ingredient in Herbal Trace Minerals, also contains important trace nutrients.